James McLeod Campbell (1865-1961) was a building contractor who was also active in local politics in the early 20th century. He served several terms as a North Cowichan alderman and as Reeve of North Cowichan in 1907. He also played an active role in the campaign which resulted in the incorporation of the City of Duncan in 1912. Following the creation of the City of Duncan, James McLeod Campbell was elected an Alderman on the first Duncan City Council in 1912. 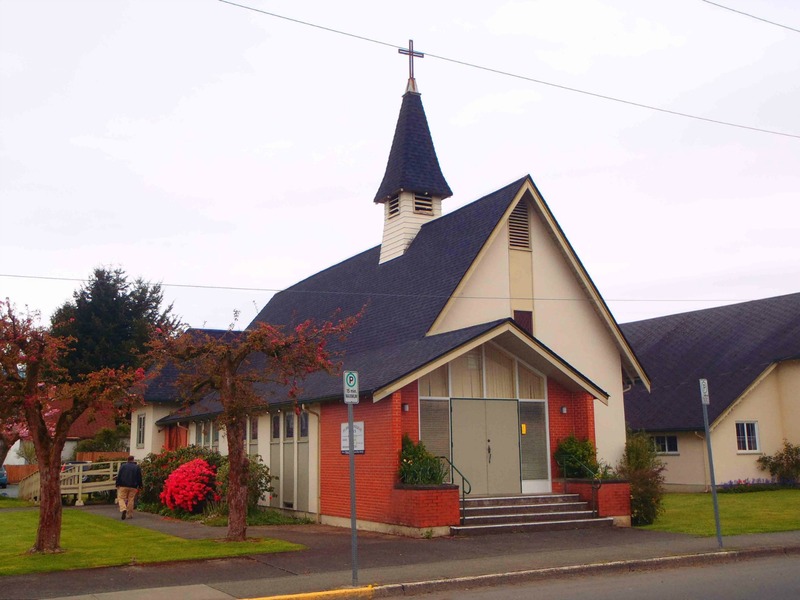 In his occupation as a building contractor, James McLeod Campbell is known to have built St. John’s Anglican Church on Jubilee Street in 1905. At present, this is the only extant local building we can confirm as having been built by James McLeod Campbell. We will add information on any other buildings we can confirm in future as having been built by him. James McLeod Campbell was an active member of the I.O.O.F. (the Whittome Building on Station Street was originally the I.O.O.F. lodge hall in Duncan) and Temple Lodge, No.33, A.F. & A.M. in Duncan. 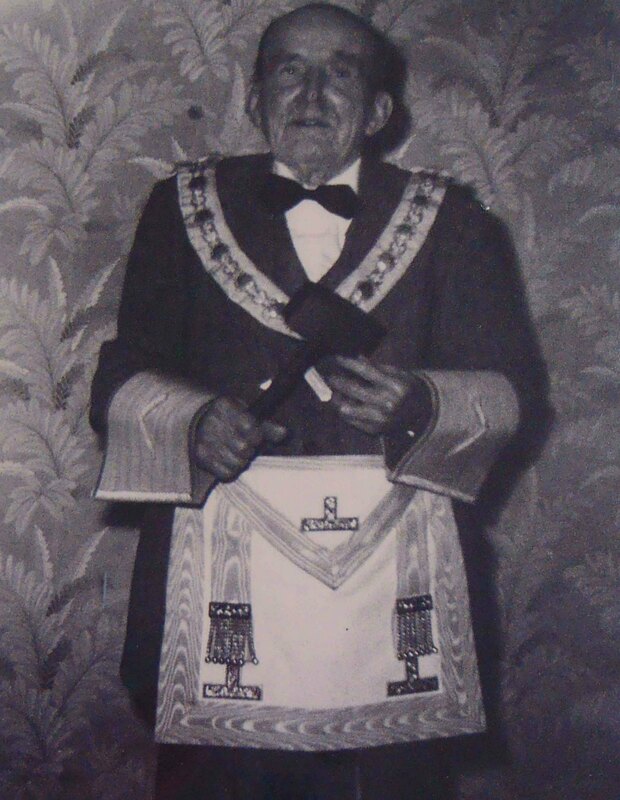 He joined Temple Lodge, No. 33 in 1900, served as Master of Temple Lodge, No.33 in 1910 and remained an active member of the Masonic lodge until his death in 1961. James McLeod Campbell, aged 95 last November 3 and married 65 years ago Christmas Day, a former reeve and councillor of North Cowichan and surviving alderman of the first city council in 1912, died Tuesday at King’s Daughters’ Hospital. The funeral will take place today at 1:30 p.m. from Hirst Funeral Chapel. He leaves his wife, Mary Elizabeth, a member of the Castley family which came here in 1887; one son, James C. Campbell, Watson Street; two daughters, Winnifred, at home, and Mrs. W.E. McLean, Port Alberni; six grandchildren; one brother, Archie Campbell, Chilliwack; and one sister, Miss Mary Campbell, Mt. Elgin, Ontario. 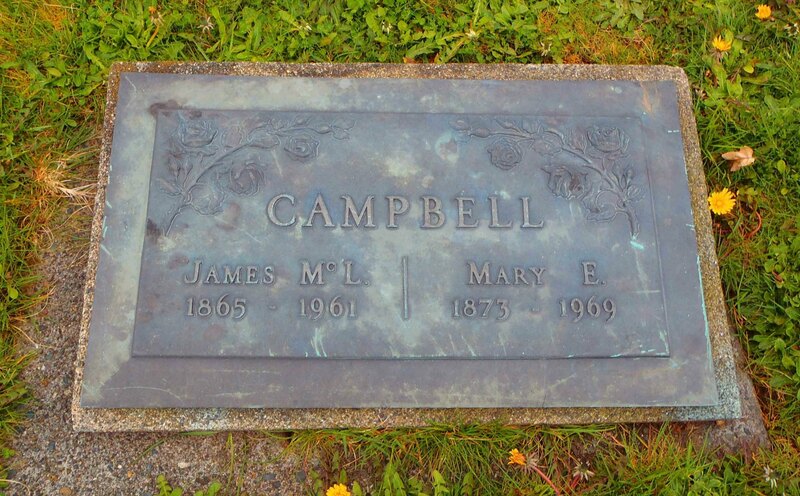 Mr. Campbell was born in Zorra Township, Oxford County, Ontario, November 3, 1865, third son in a family of 11. He received a high school education after spending his early years on a farm. In 1890, at the age of 25, he came to Victoria. Working as a carpenter, he remained there until the end of 1891 when he came to Cowichan. He took up 160 acres of land at Sahtlam, which at that time had a number of pioneer settlers, but later abandoned it and worked full time at the building trade. St. John’s Anglican Church, Jubilee Street, was among the public buildings he had erected here. 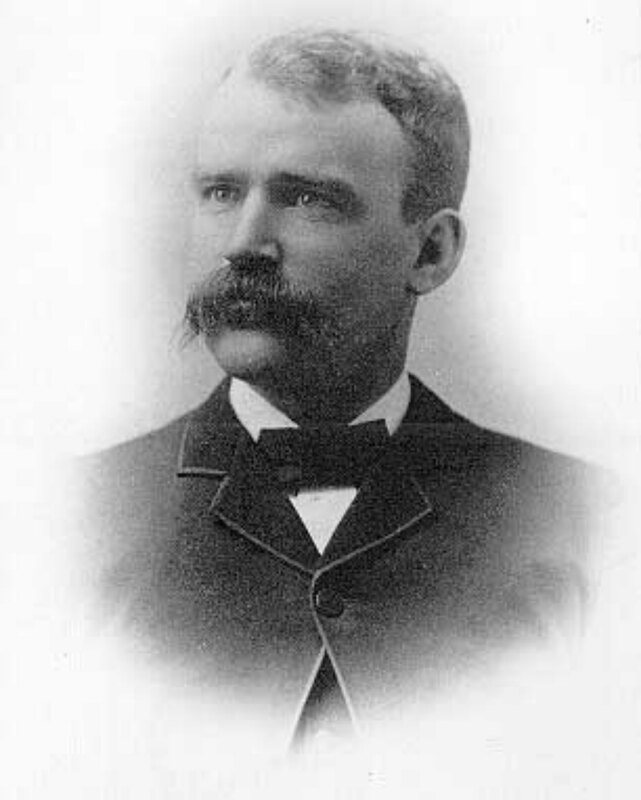 Mr. Campbell entered public life in 1902 when he contested the seat for Quamichan ward on North Cowichan municipal council. For five years he sat on the council and was reeve of this third oldest municipality in B.C. in 1907. In 1908 he retired from council but the following year was persuaded to stand for office again and was again successful. Mr. Campbell was very interested in the campaign which culminated in the forming of the City of Duncan out of Quamichan district of North Cowichan municipality. He was the surviving alderman of that first council of 1912 and sat on the council for several ensuing years. He was a life member of the I.O.O.F. and of Temple Lodge, No. 33, A.F. & A.M. He was similarly honored by the Liberal party of this riding. He was an original subscriber to The Cowichan Leader and his definite stand on public issues made him “good copy” over the years. He played an unobtrusive part in promoting a number of local enterprises at various times during his 70 year residence. 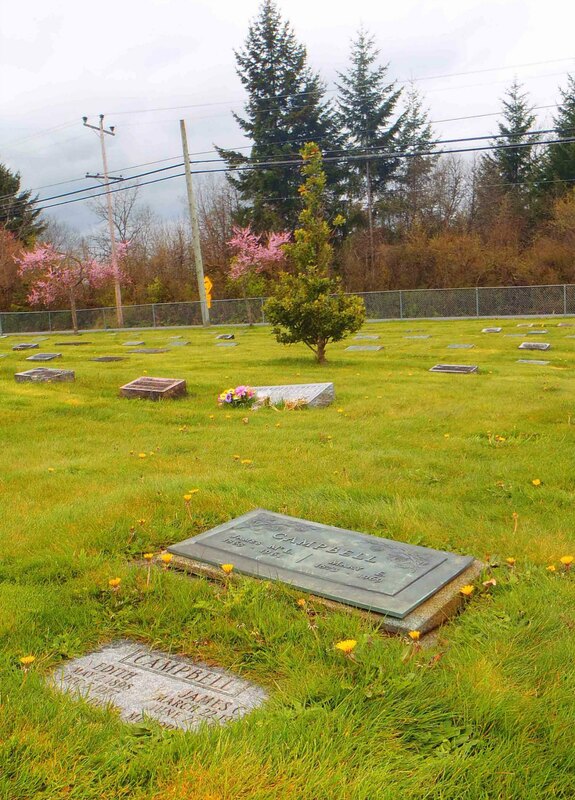 He was the surviving member of the original shareholders of Cowichan Creamery, signing up for membership in the pioneer farm co-operative December 23, 1895. Mr. Campbell was married Christmas Day, 1895 at St. Mary’s Church, Somenos, by the pioneer cleric, Canon Arundell Leakey. He and his wife have thus had one of the longest marriages of any district couple, past or present.